Are you ready for the change that healing energy can bring? If so, reiki may be what you are looking for. Reiki is one of several therapies based on the biofield, or a type of energy field that regulates everything from our cellular function to our nervous system. How does a session happen? Reiki energy is received by the client through a certified practitioner who has been attuned to the healing energy. During a Reiki treatment, the client remains fully clothed, resting peacefully on a massage table. The Reiki Practitioner places his/her hands lightly on or just above the client’s physical body, extending the Reiki energy into the client’s energy centers to remove blocks, congestion and to restore balance. The practitioner becomes a conduit of this Divine energy. The treatment feels like a calming radiance that flows through and around you. You may experience sensations of warmth, tingling, coolness. Reiki treats the whole body-mind-spirit creating many beneficial effects that include feelings of peace, security and well being. Reiki is simple, natural and safe and all who experience a session will benefit from it. Receiving a Reiki treatment will not interfere or replace traditional medical care and can enhance other medical treatments. Reiki complements all other forms of holistic healing. The energy of Metta Reiki™ builds on the energy of Usui Reiki and is an advanced form of Reiki for personal healing and the healing of clients. It accesses all aspects and dimensions and heals on the deepest level. Metta Reiki™ energetically connects us to the depths of Heaven and the core of the Earth and aligns the client so they are in the position to receive the energy in a most direct way. It works to open the central channel and the energy fields, allowing a deep connection with the emotional aspects of issues through all lifetimes that are ready to be healed. •I can also offer you distance reiki. Please call me to confirm a day/date. I received my first ever Reiki session from Michelle. 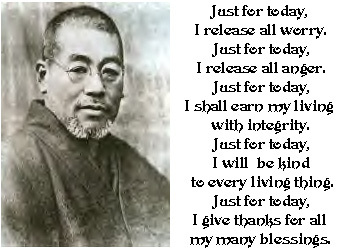 I didn't know much about the Reiki philosophy, but I went in with an open mind. I have to say, a few weeks after my session, I am still feeling a sense of inner peace and tranquility. During my session, I felt an energy entering my body as Michelle touched my legs and arms. The most mind blowing part of the session occurred when I started to receive visits from my deceased family and friends. They came to me with messages of encouragement. When my session was completed, I asked Michelle if the crystals she used during the session were heated. She said no. Wow! I felt a distinct heat emitting from the crystals she had placed on my chest and abdomen area. I highly recommend treating yourself to a Reiki session with Michelle. Michelle is a Space Clearer of the Body/Mind/Spirit. She is a Master Reiki Practitioner in the Usui Ryoho tradition and a Metta™ Reiki Master and has also been trained in Quantum Touch Level 1, Positive EFT, and Elemental Space Clearing®, all other forms of energy medicine. Energy cannot be created or destroyed, it can only be changed from one form to another.